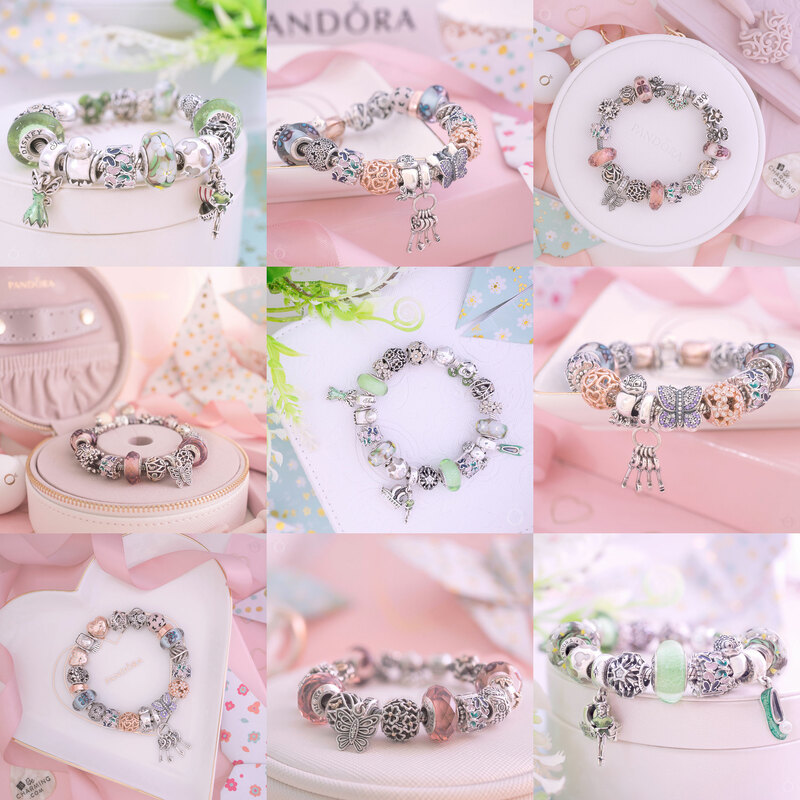 Do wish with the PANDORA 2019 Pre-Spring Collection! 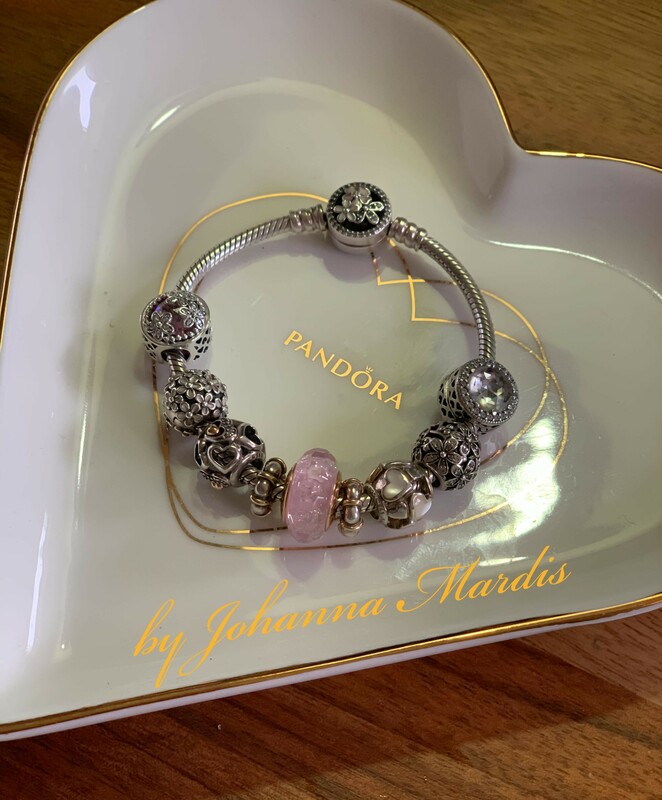 After the love filled PANDORA 2019 Valentine’s Day collection, the Pre-Spring collection has a contemporary yet feminine feel. As light as a feather and as precious as a wish the PANDORA 2019 Pre-Spring collection will warm your heart. 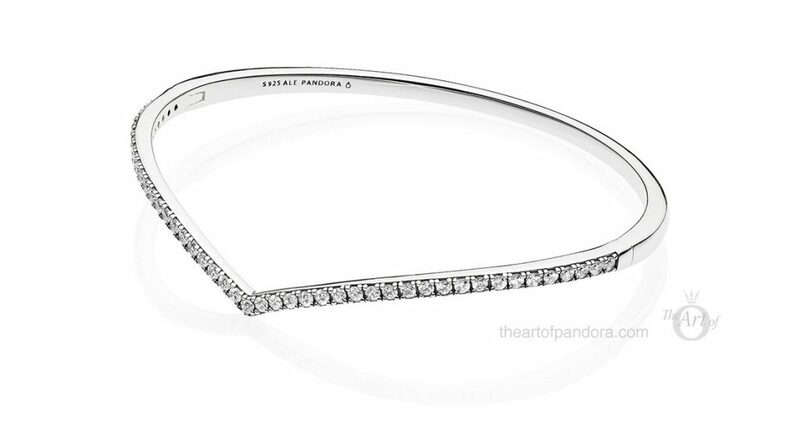 Add a touch of sophistication to your outfit with the sleek wishbone shape bangle. Available in three sizes: 16cm, 17.5cm or 19cm. Multiply your wishes by stacking the Shining Wish and Shimmering Wish Bangles together creating a gorgeous geometric look. Available in three sizes: 16cm, 17.5cm or 19cm. Alternating beaded and polished chevron lines form a delicate openwork charm. 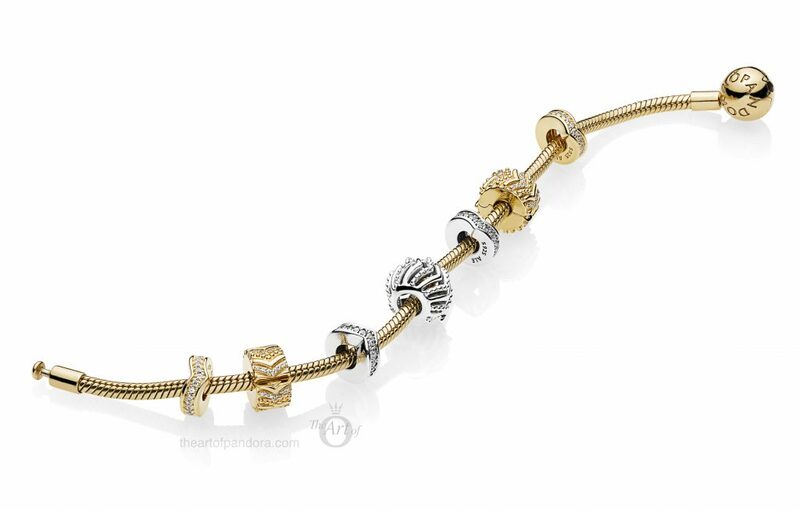 This simple yet elegant charm is my personal favourite from the PANDORA 2019 Pre-Spring Collection. A sparkling line of clear cubic zirconia stones enhance this slender silver spacer. 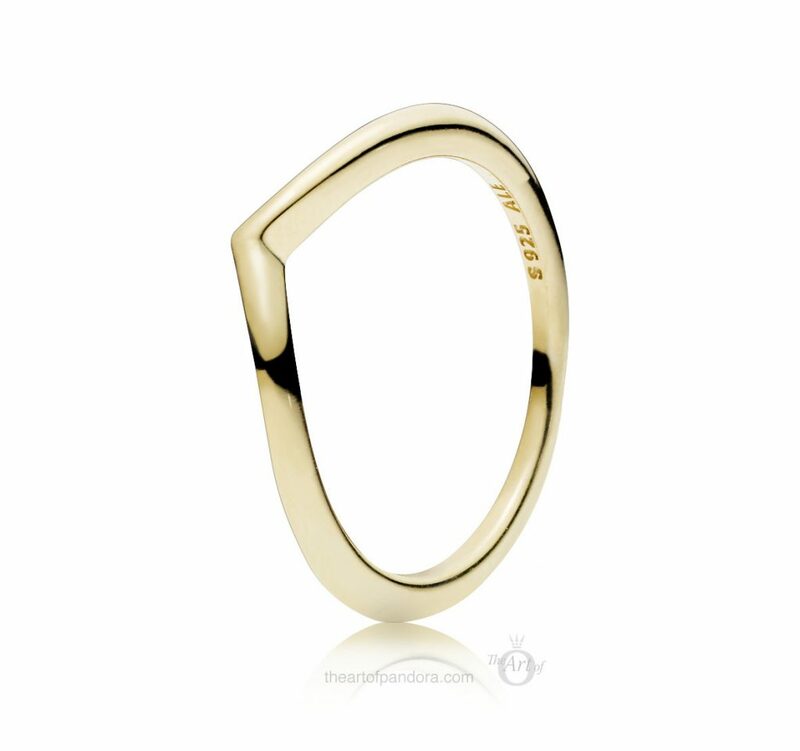 The slight incline of its wishbone shape will look beautiful worn alongside rounded charms. 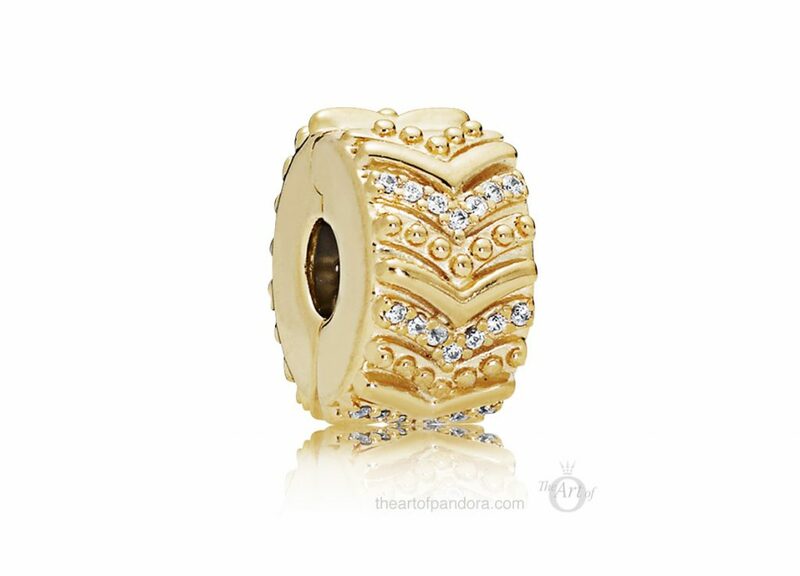 Make your wishes shine with the 18k gold-plated PANDORA Shine Shimmering Wish Spacer. Stack with the silver Shimmering Wish Spacer for a stunning interlocking effect. The new Stylish Wish Clip is a wonderful addition to the PANDORA Shine range. A combination of polished metal, beading and sparkling cubic zirconia stones tessellate on this 18k gold-plated clip. 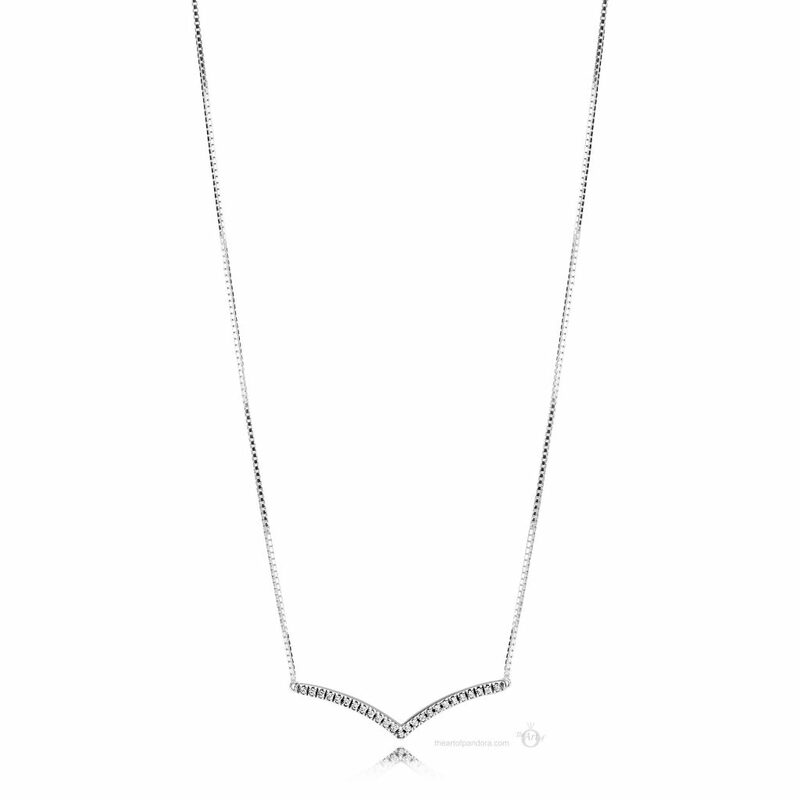 A wishbone becomes a sweetheart neckline on this 17.7-inch silver necklace, edged with pavé cubic zirconia embellishments. The sliding clasp lets you adjust your style story with a little heart at the end of the chain moving with you. 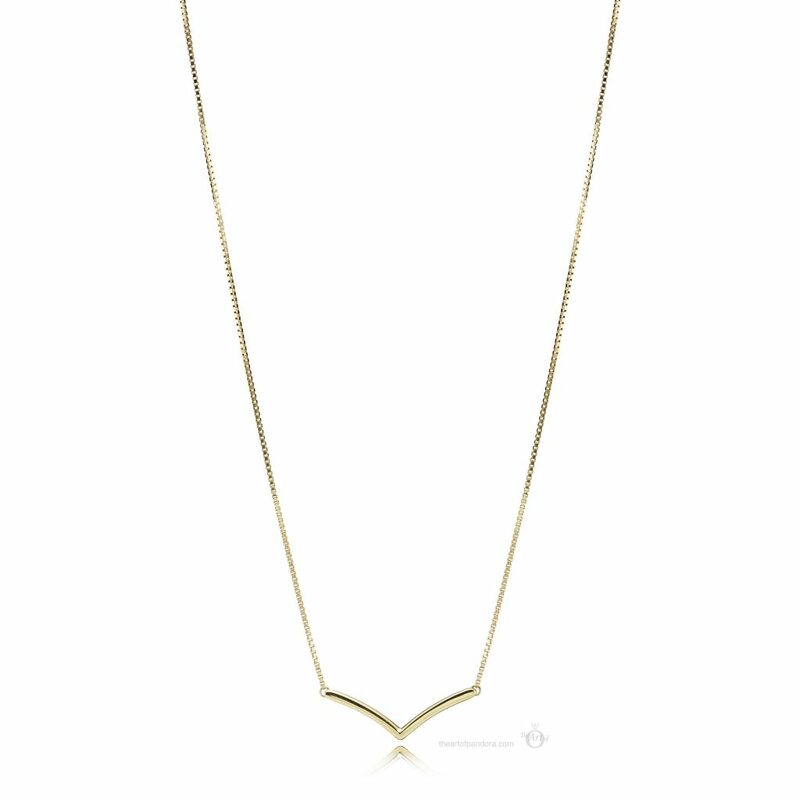 The sweet wishbone necklace is alone available in a highly polished 18k gold-plated PANDORA Shine version. The classic PANDORA Shining Wish Ring is now also available in glorious golden PANDORA Shine. Play with metals and create a beautiful stack with the silver and PANDORA Rose versions. 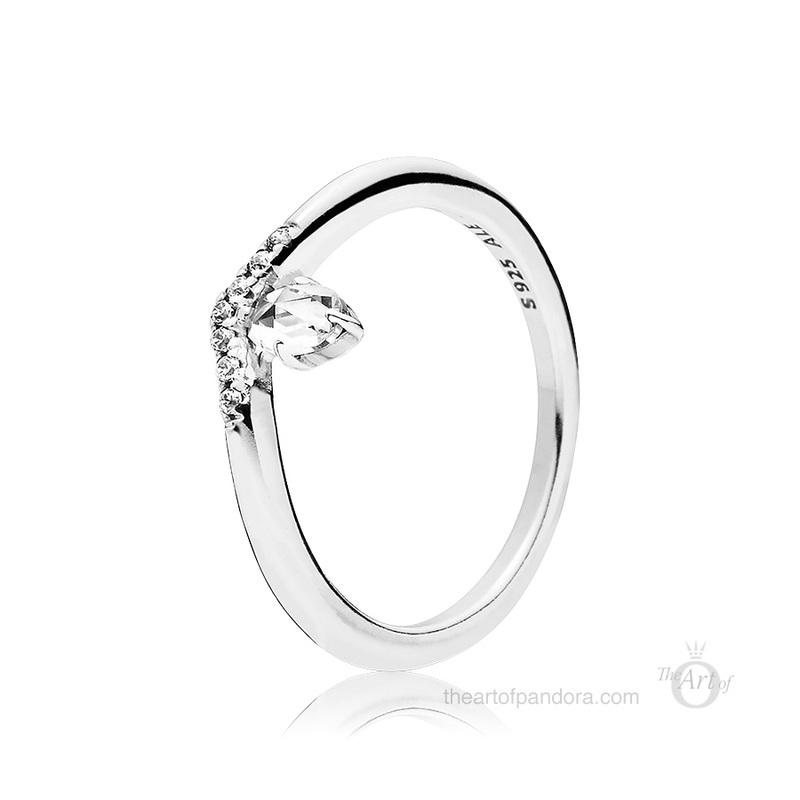 The PANDORA Classic Wish Ring combines the sleek wishbone shape with a tiara design creating a stunning effect. Framed in the centre the oval rose-cut stone provides timeless elegance. Smooth and sparkling wishbones float beneath an oval rose-cut cubic zirconia in these dainty stud earrings. The PANDORA 2019 Pre-Spring Collection is released on Friday 15th February 2019 and available from our preferred PANDORA retailer BeCharming.com. 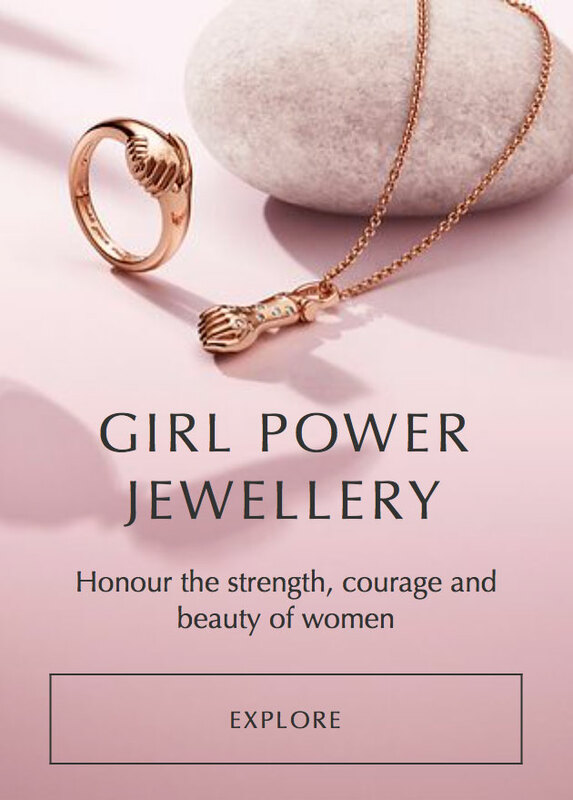 In the last few collections I have noticed that PANDORA have been interspersing each main collection with smaller groups that have a simpler styling with timeless appeal. 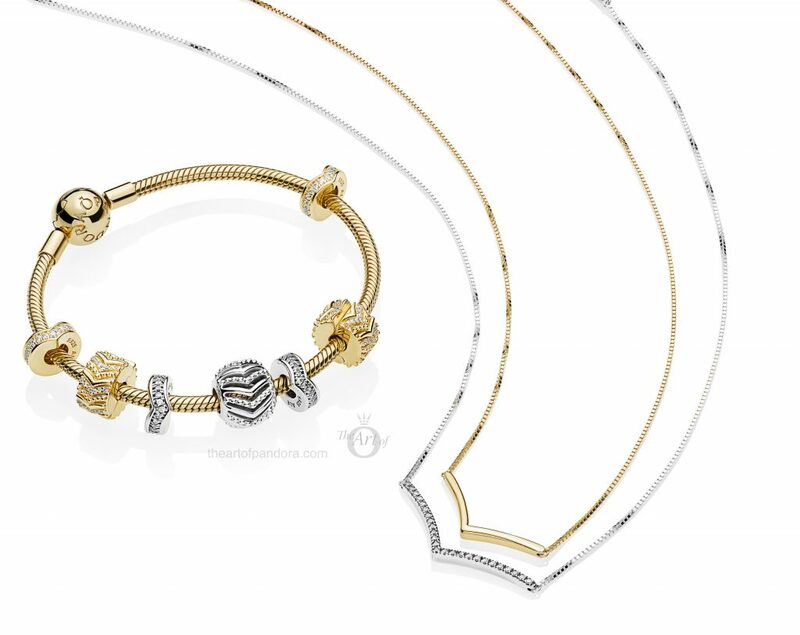 The Purely PANDORA range is an example of this and the Wish range in the PANDORA 2019 Pre-Spring collection seems to prove that this new trend will continue. I am happy to see more classic designs released from PANDORA and I believe the mini collections may even prove more popular than the main seasonal collections. Ooh, Pandora’s direction is so interesting to see! A great design direction to reach further audiences!!! And so on trend. I agree with you. I like the idea of the collection and definitely prefer it to the Valentine’s Day collection, but I don’t know that I will buy anything. The ones I’m tempted by are the Stylish Wish charm and the PANDORA Shine Stylish Wish Clip. I think I would rather try and save up for 14k gold clips though rather than buy PANDORA Shine clips. I agree with you Dora. I do not like shine. The only thing in shine I would by would be the small locket. But only. Hi Miram, thanks for your comment. To be clear it’s not that I don’t like Shine, I actually have quite a few prices from Spring 2018 in Shine including a lot of the beautiful Bee and Honey charms. My point with the clips is that I have my eye on some 14ct gold clips that I would prefer. So rather than spring for these Shine clips I will save up for the Goldies. Wow, thanks for the preview. I had no idea this was coming! Such a treat. Never heard of pre-spring before. 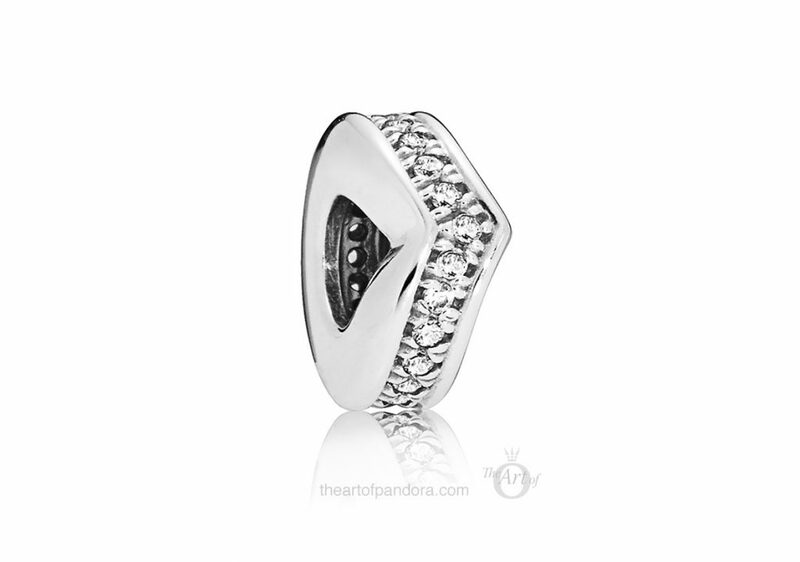 I am in love with the Stylish Wish Charm, so classic and elegant. Some of the matching prices are quite an eye catcher too. You’re right, the Stylish Wish charm does have a pretty price tag too! 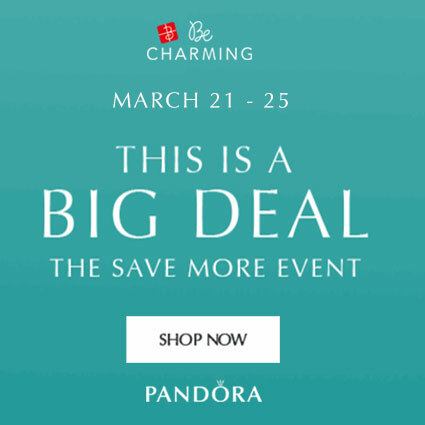 That is another reason why it is nice when PANDORA produce charms without cz or enamel as it makes them more reasonably priced. Thank you for sharing your opinion and have a great week! I do see a couple of interesting charms here. The stylish wish charm looks very versatile. I saw a couple of toy story Disney charms and I’m curious to see what the whole 2019 brings. I’m excited too! There will be a lot of new Disney charms this year with new characters too! Disney is starting to take over my collection! I’m loving the wish theme! 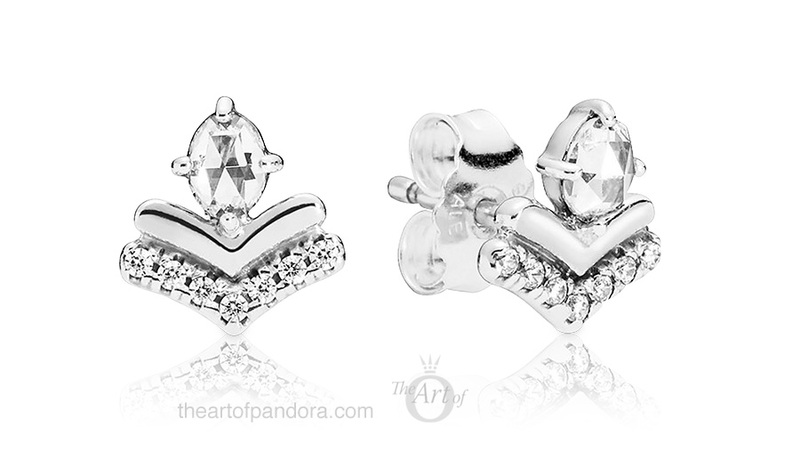 It’s a very stackable set and very intricate, that it gives off a different style in pandora. Yes it is perfect for stacking. 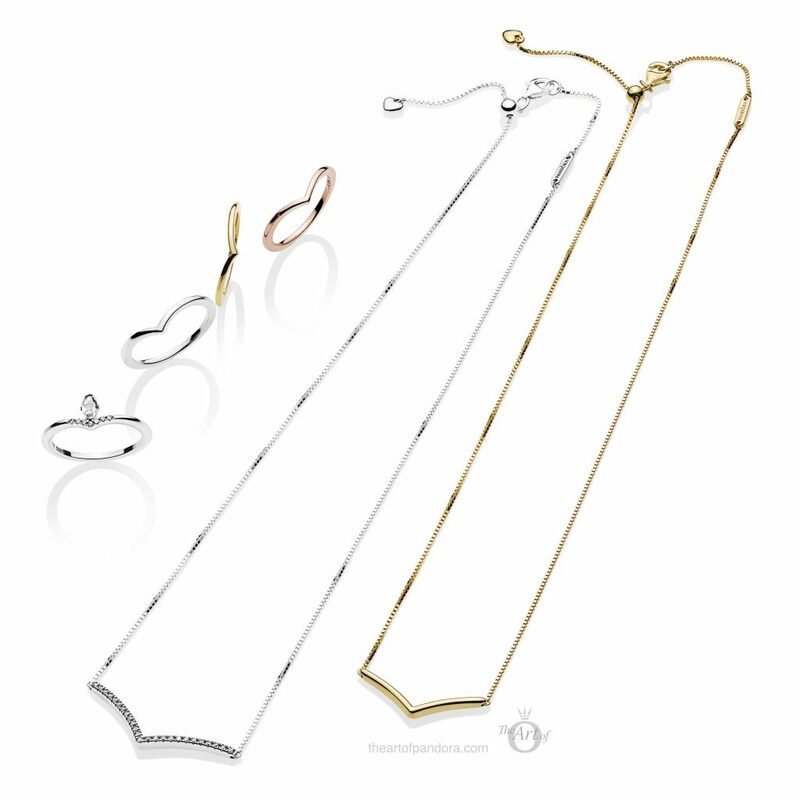 Even the two necklaces appear to be designed so that can be worn stacked together. 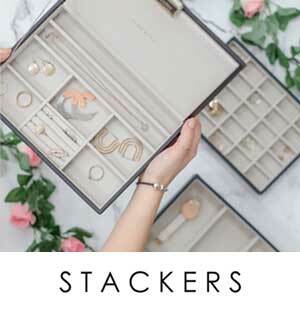 The spacers would look lovely stacked on a bracelet or necklace too. I agree with you, the Pre-Spring is much nicer than the Valentine’s Day collection. Plus these pieces are suitable for all year round. I hope you like butterflies as much as you like flowers as the Spring collection will be full of them! Dear Dora. Thank you from the bottom of my heart for telling me this. Butterflies came in first place in my life! I am more than happy, I am full of plenitude!!!!!! I have gold butterflies, rose, silver, enamel…Always when I seebone that I like I buy… No matters the price. Thank you soo much! 1000 kisses for you. The plain silver bangle is quite nice, but overall these are not for me. I like the more intricate, imaginative stuff and I find these modern generic pieces nice but not special enough to make me part with my cash! It is true that they are a little generic but I think they will be very popular. 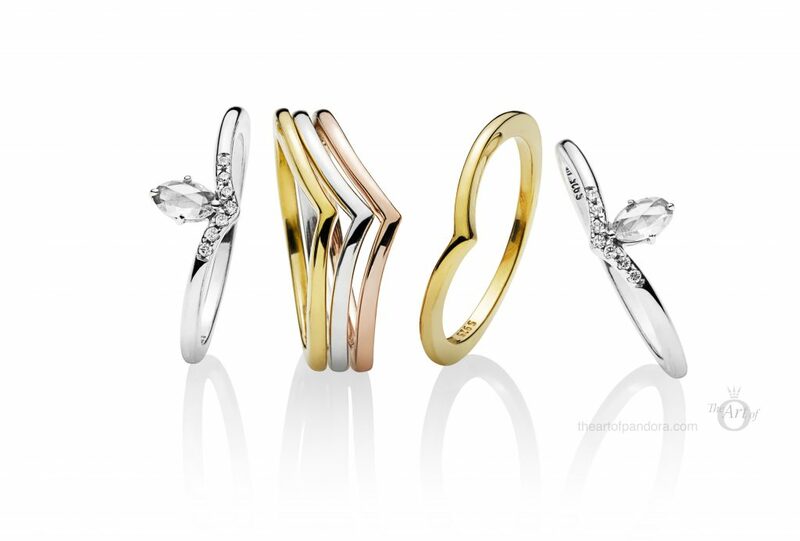 I prefer this range to the Purely PANDORA range which seemed overly shiny for my taste. Like you I am planning on saving my pennies for the next collections and all the cute Disney charms due out! Wow, this brought a sprinkle of sparkle to my day I am in love with these wishbone designs they are so stylish. I will have to see them in person to get a better idea but I they are so beautiful. Looking forward to the full Spring collection. Yes it is a stylish collection! I am looking forward to the main Spring collection too as it is normally my favourite collection along with the Autumn collection. Those two collections always seem to have more nature inspired pieces which I love. I am in love! I agree with one of the other commenter that this will be a lovely collection to stack. The necklaces look lovely in tandem too. And the rings are to die for!! This gives me something to look forward to as Valentines collection is not my thing. Thanks for your blog, it helps me to plan and save my pennies. Thank you for your kind comment, I’m glad you find the blog helpful. Yes it looks like the necklaces will work well together as one is slightly smaller so can nestle inside the other one. I like the bangle bracelet. Hope they get some additional Reflexions Clips. There should be more Reflexions Clips soon in the main Spring collection. This is just the Pre-Spring collection and is just a small group. I am still yet to buy a Reflexions bracelet but I am thinking about it. 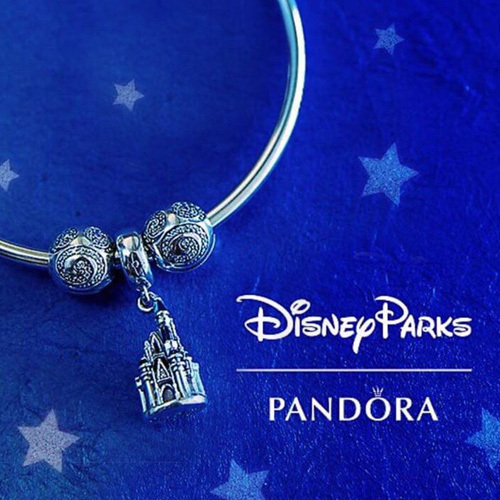 Plus I recently purchased some of the Disney Petites from the PANDORA sale so I would like to get the Locket Clip. Which Reflexions bracelet do you have? I have the Reflexions shine so would love to see additional clips. Thanks for the preview, I personally am not impressed. There are no charms I like and it seems like majority is just jewelry. Wish they would go back to more of the original silver charms. Oh well hoping for something as good this spring as the last one. How exciting! When will you do a preview of main spring collection? Last spring was just lovely. Thanks for stopping by with a comment, I love to read everyone’s comments. I don’t have a date for Spring preview. It will likely be late February to early March. How kind of you. And thank you for your reply. I just read your comment that there will be some PANDORA Rose. 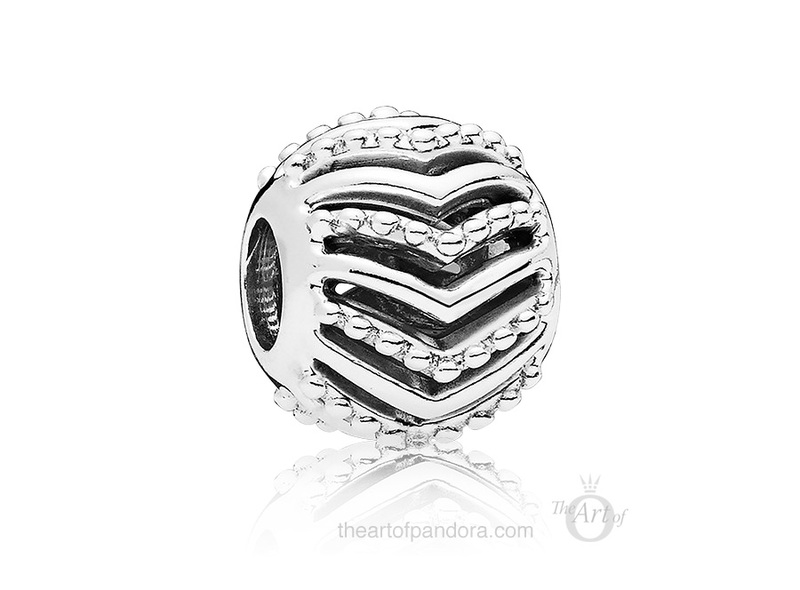 I’m even more excited as I recently purchased my first PANDORA Rose charm. I can’t wait! That’s exciting! Which Rose charm did you get? I have a small collection of it and think it is very pretty. I don’t mind mixing metals either. I am happy to hear that you have been reading the reviews. Thank you so much. 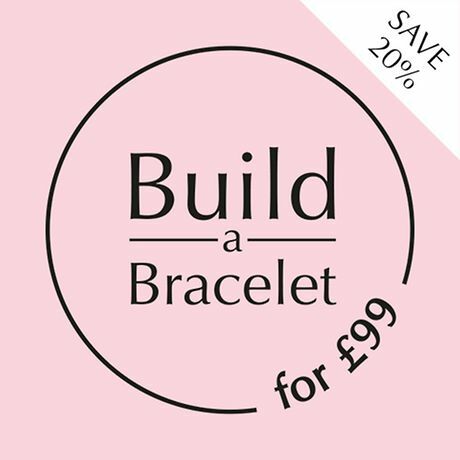 And I would love to see the PANDORA Rose bracelet that you are building so…. I have added an upload picture button. You should be able to see it in the comment box next to the emoji symbol. At the moment I have limited it to one picture under 15mb, since I am not trying to start the next Facebook just allow commenter to share an image when they want to. Well you did all the work and it’s such a pleasure reading it. That’s so cool you did that. The main Spring collection will be our March 15 and I will post a preview soon. The toy story collection will be out May 30. I hope that helps with your planning and have a wonderful day! Edit: Never mind. I found my answer, but I’m not sure how to delete my comment. Hi Joanne, glad you got it sorted. Nope… reminds me of two previous wedding rings. Butterflies? Hi Collin, thanks for your comment. Nothing for you then? Thank you for the preview once again I am looking forward to the new disney charms that was mentioned. You are welcome and thanks for stopping by to have a look. The Disney charms seem very exciting and include a Shine Agrabah charm from Alladin. It looks beautiful. Hi Lena, thanks for commenting. Yes, no rose this time. There will be some PANDORA Rose in the spring collection and I have heard there will be some two-tone Shine as well. It will be a big collection so hopefully something for everybody. My first impression is that I don’t like anything in this pre-Spring collection… :/ But, sometimes I feel that way at first and then end up changing my mind. I guess I’ll just have to wait and see! Though I’m not impressed with this collection. Would love to see & know what is coming out for the Spring collection! And Mother’s Day, too! 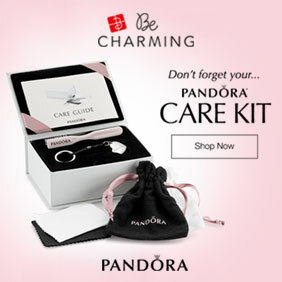 I think it is interesting that PANDORA are releasing small collections with a very strong theme. 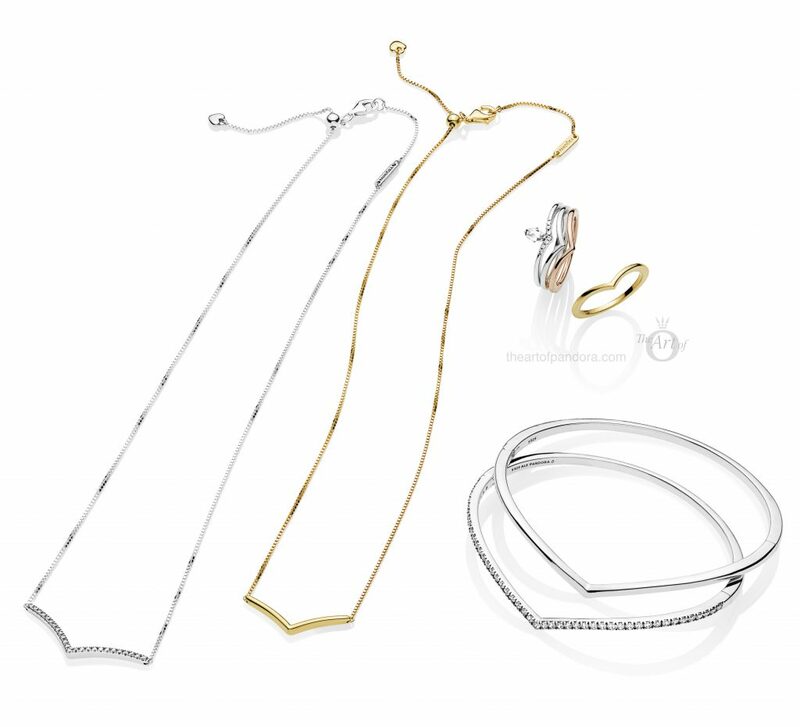 I think the designs of this Wishbone collection are comparable to the Purely PANDORA Collection in that they are simple and elegant. I hear that PANDORA will be doing up to ten drops every year now, so this may be the way things are going. Spring will be a full collection with lots of surprises. I heard that there will be Dumbo, Aladdin charms to go with the Toy Story charms I shall look forward to seeing pictures of them. Yes there will be Lion King pieces to add to that list as well. The rumours are circulating since someone get a hold of a French catalog and the pictures are all over social media. When I have good quality pictures, details of release dates and pricing I will post something on here. I will be posting a preview of the Spring collection soon and there are lots of new clips for the Reflexions bracelet plus some new sliding bangles! I think you will also like the Flower Stem bracelet. It would be really nice to see two tone designs make a come back. I don’t mind the PANDORA Shine range but I think they should also continue to produce 14k gold charms. There aren’t any in the upcoming Spring collection but hopefully there will be in the future. Sorry to disappoint you but there isn’t any 14k gold in the Spring collection either. There are some pretty pieces though especially if you like butterflies. I’ll be posting a preview soon. The Pre-Spring Collection is just a small collection but the main Spring collection which is due out in March will be a lot bigger. Plus there are a few petite charms included. There is a little PANDORA Rose flower, a Clover and a Butterfly. I will be posting a preview soon. Ooooh! Wishbone charm and wish classic ring are absolute must haves! 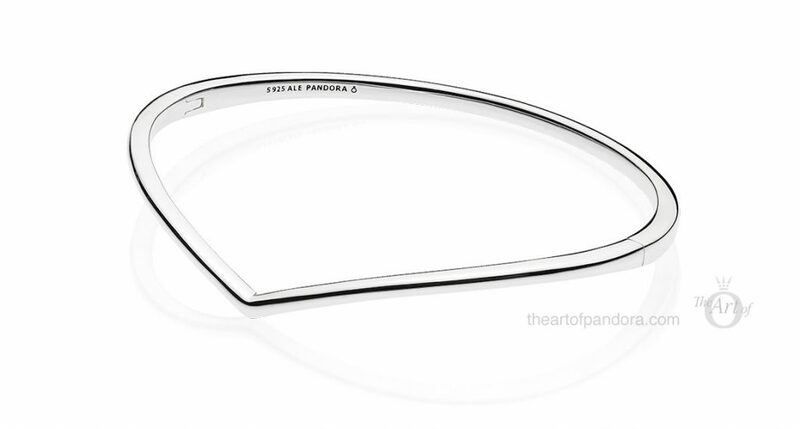 However, I’m not sure that I like that shape for a bangle. I wasn’t sure about the bangle but it has grown on me. Plus I’ve seen some style two bangles inverted which looks quite nice. The Wishbone Charm is definitely my favourite though. Does anyone know when the new Cinderella rosegold charm is going to be availalbe? Thank you Dora. I was able to purchase at the Park 2 weeks ago. Yay! That’s great Berlinda, sorry for my slow responses to your first message. I did a blog post on the charm the day before it was released in the parks, so hopefully you saw that. It was at Disney World Orlando. I live in Fort Lauderdale, so it’s close to me. I purchased 2 cinderella charms, the minnie rose gold ears and the minnie clip bracelet. Hi Berlinda, it must be lovely to live so so close. We are planning a visit to Disneyland Paris soon. Have a great weekend. Do you know when this is coming out in the UK? The collection will be released Thursday 14th February. The Spring collection is due out March 15th and I will be posting a preview soon. Really love the simplicity of some of these pieces. Yes, wish that ring were a diamond in 14K! Ha! That would be an expensive piece so nice that it isn’t, (I guess)! Absolutely love all the stacking rings and I have been quite a sucker lately for stacking any ring on any finger! Also any Rose gold. Swore I would never be a “shine” gal and now I love it too! Fell in love and have all the “bee stuff”. Love the Shine Clips! Yes, so agree with you. I use the shine bracelets with my 14K gold and it is awesome together! So we are never too set in our ways to make a change! I also have not seen any tarnishing or plating oh’oh’s! They are very nicely made. And affordable! I did not receive the email with the New Spring Charms yet. I saw on your post that you mentioned to give some comments. Am I looking in the wrong place? Let me know. I only see tbe Pre Spring Collection. Will go to your page to see if I can find it.